Two wreaths of three petals join to create unique star-shaped flowers. The plant's grassy leaves (which smell like garlic, so critters will leave it alone, but do not plant too close to your home) will emerge before the Winter season and then freeze but this has no negative effect on their flowering performance later on in the Spring. In borders and rock gardens. (Besides the species itself); 'Rolf Fiedler' (deep blue) and 'Wisley Blue' (lilac-blue & white). 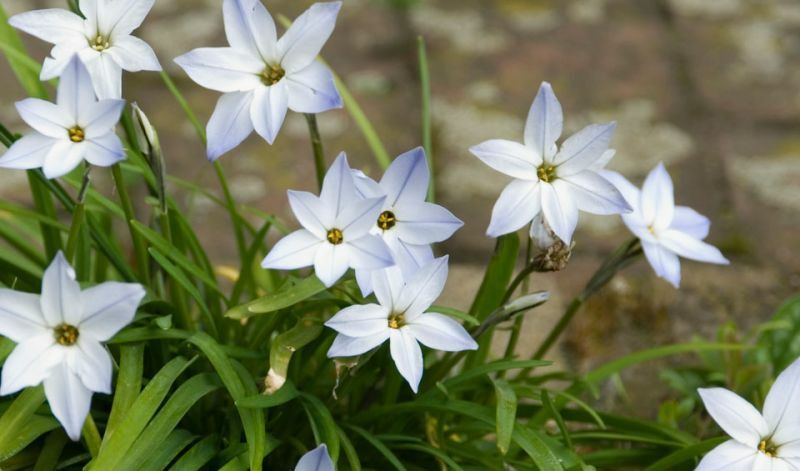 The genus Ipheion occurs naturally in Argentina, Uruguay and southern Brazil.